They say it takes 21 days to form a new habit. Three weeks to change your behavior (hopefully) for the better. A bit daunting at first, but easy enough to conquer if you put your mind to it. These past two months I’ve been doing my best to add and alter some of my personal habits. I can’t say it was easy at first, but at this point these choices are becoming more natural. Starting in October I decided to give up five things from my diet – bread, rice, cereal, pasta, and chocolate. Without realizing it I began the Paleo diet. A friend of mine was in the midst of her personal 30 day challenge and was seeing fantastic results. Since I’ve been known to do some crazy experiments for health, it was only right to jump on the bandwagon. Within two weeks I had dropped those pesky four pounds that I’d gained over the summer. It was seriously a relief to get them off my body. No, it wasn’t easy to just take everything out, but with some serious mental determination it was doable. Pretty soon my snacks were solely fruit and my dessert was a full mango (I’m addicted). On nights before my half marathons I consumed some carbs, yet I didn’t overdose. And thankfully I never felt the carb flu. In fact, it became painless to go without carbs and make healthier choices. Although I was only strict about the diet for 5 weeks, it made great lasting changes. I’m still avoiding most carbs, eating them only a few times a week. Choosing whole grains and eating less than a full portion. Overall being smarter about what I consume. As for chocolate and candy? Don’t miss it all that much. In the past three weeks I’ve nibbled on chocolate two or three times. Seriously, when you have ripe mangoes you don’t need any candy (I have a problem and I can’t wait to overdose in Thailand). Another habit I’ve included in my diet is to eat at least 20 grams of protein in the morning. Doing this reduces carb cravings and keeps you full for longer. My protein of choice is cottage cheese with banana, but there are many out there that will also satisfy (eggs, lentils, greek yogurt). Now I don’t find it as tough to go between breakfast and lunch without snacking. Changing just one small thing is a great start. Remove something unhealthy from your diet and see how you feel after 21 days. Stick with it and I guarantee you’ll feel great about it! What habits are you adding to your life? What suggestions do you have for making healthier choices? Congratulations to Jeffrey (FireRunner2379) for winning the YogaEarth giveaway. If you could drop me a line with your address, we’ll have the deliciousness sent your way! When I was at Fitbloggin, I was lucky enough to sneak into the Natural Food Expo next door. It was there that I met the wonderful and charismatic Sarah who introduced me to YogaEarth. She was happy to discuss the products and their benefits. Even better, she offered to share some of the goodness with me! Initially I was drawn to the Superfood nuts and trail mix (my typical favorites), but then I decided to try something new. I went with mulberries and chocolate gojis. What is a mulberry you ask? 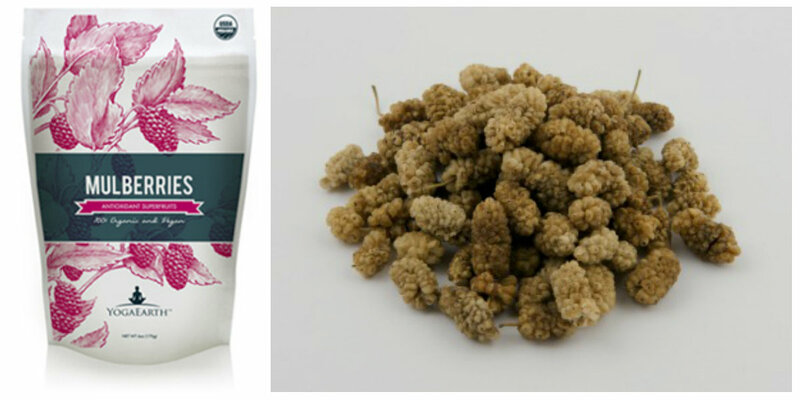 (Totally asked that myself…) Mulberries are an organic antioxidant superfruit! At first I was turned off because of their appearance, similar to tiny pine cones in my opinion, but then I tasted them. For some reason I expected them to be dry, but they were softer and somewhat sweet. I’d compare their flavor with raisins or honey. I threw a handful of these in with my trail mix (the ultimate snack) and enjoyed the sweetness they added to my mostly nutty mix. Part of the reason it has taken me so long to write this is because I removed chocolate from my diet in October and didn’t have the chance to try the chocolate gojis. But in the spirit of science, I decided to break open the package and try them out. Wow! 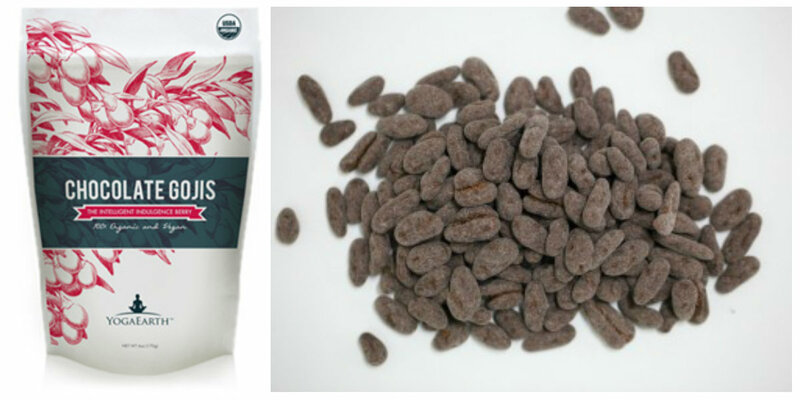 I need to get this bag away from me… Goji berries (also known as the wolfberry) are chock full of nutrients and on top of that it is dipped in dark chocolate. They remind me of a more sophisticated chocolate covered raisin. How can you go wrong? I’ve decided these would also make a great addition to my trail mix. In moderation of course. Final Thoughts: I’m a fan. I’m looking forward to trying the other superfoods and adding them into my healthy snacking routine. Would you like to try some YogaEarth products? One lucky winner will get a package of the Raw Almonds and an assortment of Keen-wah bars. A great addition to your snacking routine! Check out YogaEarth’s Superfoods and leave a comment telling me what you’re most interested in trying. Or leave a comment about how you could spice up your snacking habits. The giveaway will be closing at noon PST on Friday, November 23rd, 2012. Note: Open to US entries only. The products I received and the items I am distributing have been provided by YogaEarth. The opinion expressed in this post is solely my own. 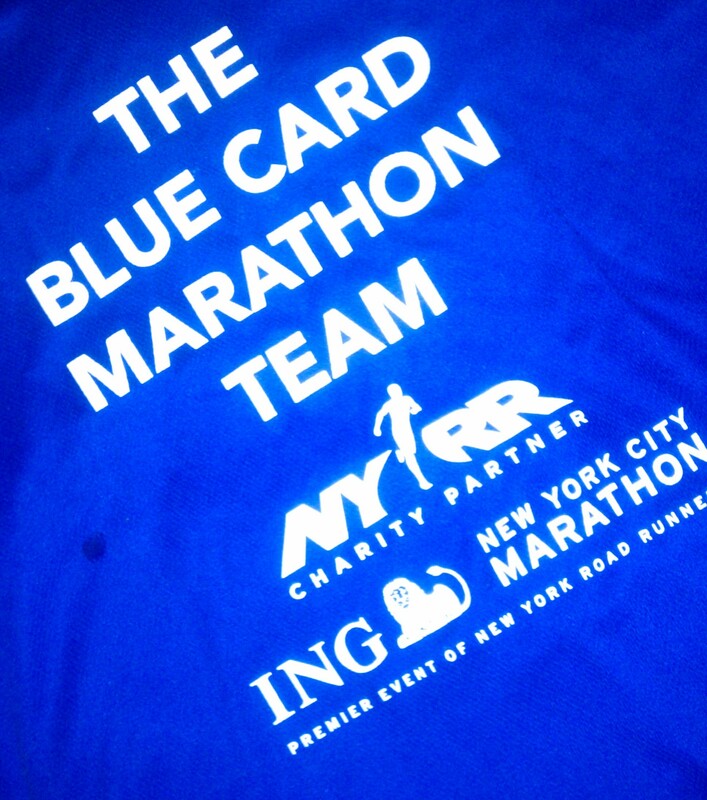 I had every intention of running the New York Marathon yesterday. That is, up until Monday of this past week. I’d trained for the race and declared that it was my last marathon for a year. So much of my focus went into this one race and I was mentally (and somewhat physically) ready to rock it. Not to mention, it would be the first time that my family would be there to support me. But Sandy had other plans. When I heard about the damage in New York, I was troubled. So many of my friends and family members were affected by the storm. It just didn’t seem right to be eager about the race when others were displaced from their homes. My emotions went haywire as I questioned my plans. Many parts of me wanted to go to New York, see my family, run the marathon, and honor my grandparents. While others didn’t want to add to the chaos of the city. Eventually my father, the most logical person in my life, helped me to make the decision. On Thursday of last week I decided to cancel my trip and defer my entry. I was upset, but I knew it was the best choice for me. Fortunately I was able to get a full refund on my flight, which eased my mind a bit. And a friend promised to take me to Big Sur for a relaxing day trip to take my mind off everything, which was a sweet gesture. Friday rolled around and I decided to run the US Half marathon in San Francisco with a friend so that I’d at least get in a few miles on Sunday. I was still frustrated, until a friend sent me a message about the marathon. They finally made the decision to cancel it. I was shocked and (I know it is selfish to say this) relieved. I feel for all the individuals who traveled to New York only to find out it was canceled and my heart goes out to all of the New Yorkers who were affected by the storm. Saturday was a gorgeous day. 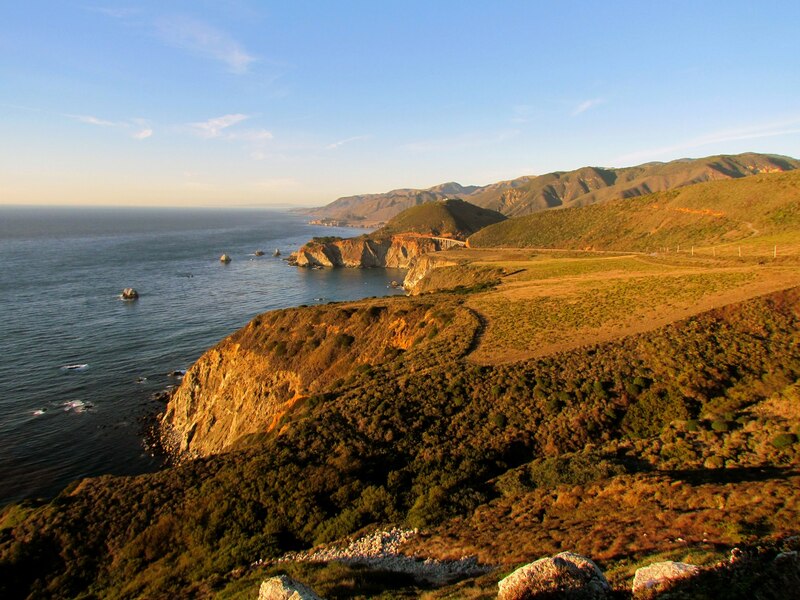 Although I ran the Big Sur marathon a few months back, I didn’t really experience the area. My friend and I drove down the coast and had a lovely brunch at Nepenthe while enjoying the beautiful view. We did some short hikes and sat on the beach. It was glorious to have such a relaxing day in a beautiful environment. If you’ve never been, I definitely suggest taking a trip there. What are your thoughts and feelings on the situation in New York?